Hi! It's Georgina with my regular Thursday post. 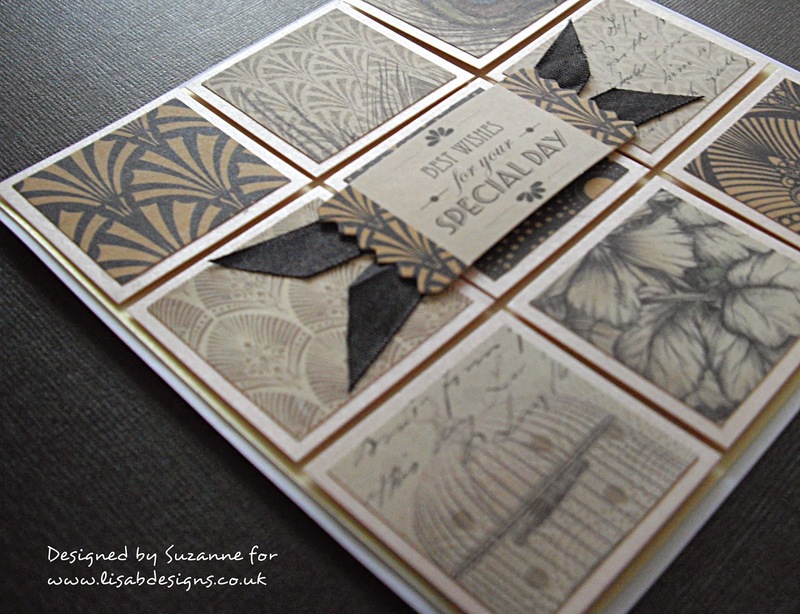 Today I have an idea to share with you using a white embossed outline for an image instead of the usual black stamped image. 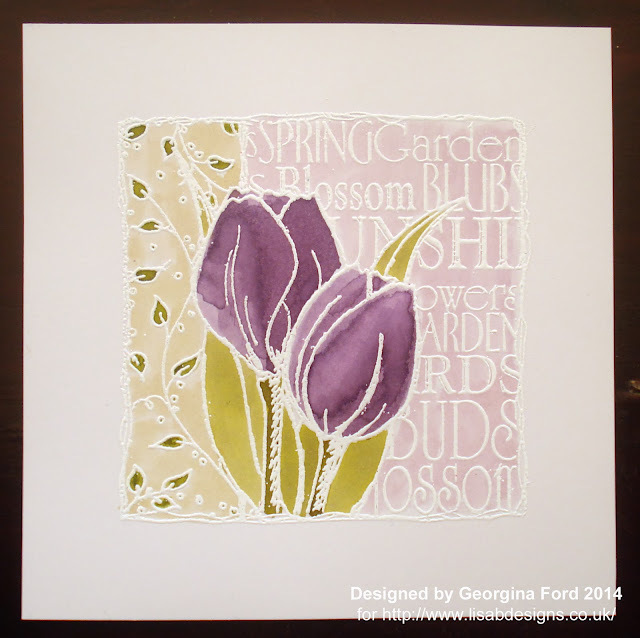 I have used the lovely Imaginations Tulip decoupage stamp set. This set currently has 25% off! 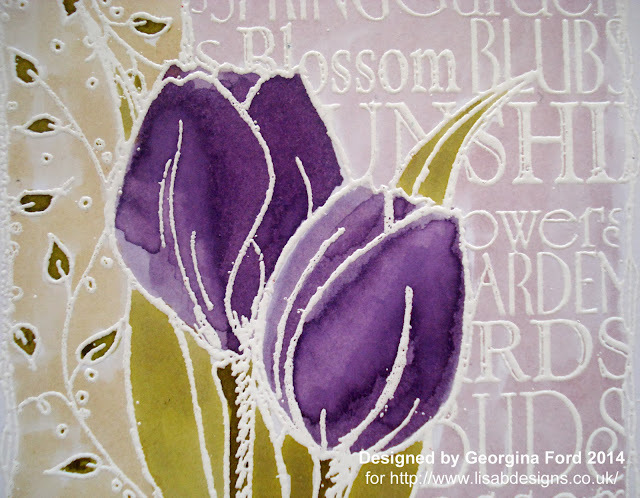 I began by stamping the image with a Versamark ink pad onto white card. 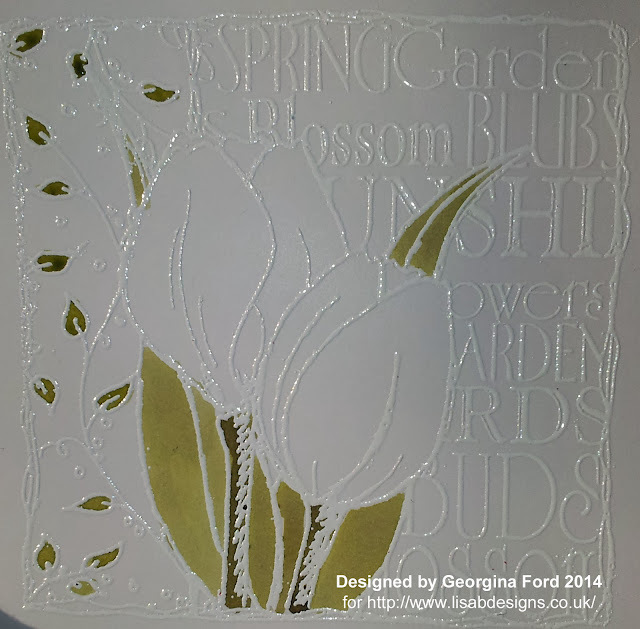 I then heat embossed the image with WOW bright white embossing powder as show below. 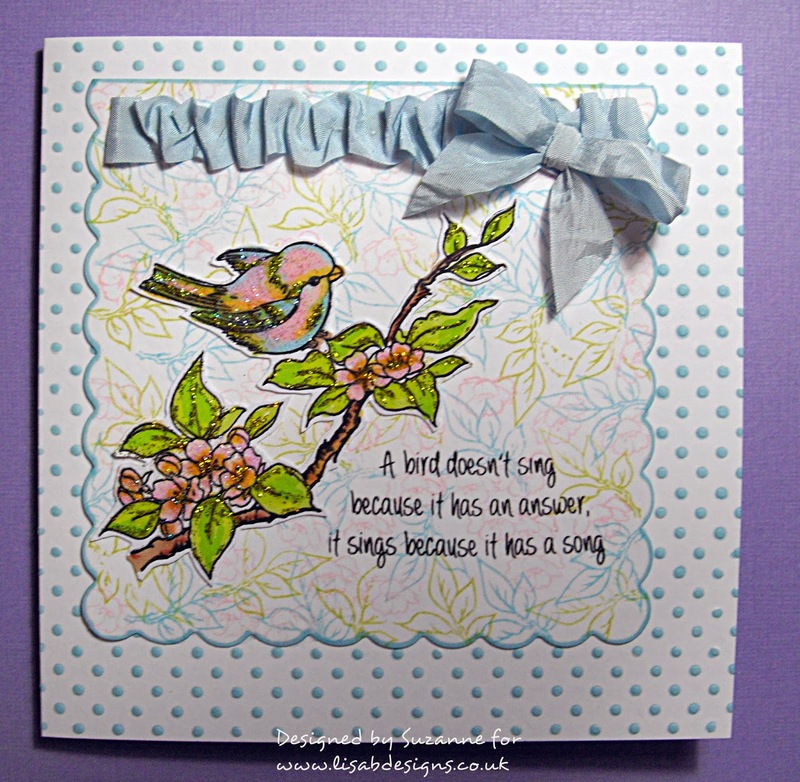 I used Distress Ink pads as a watercolour to colour in the stamped image. 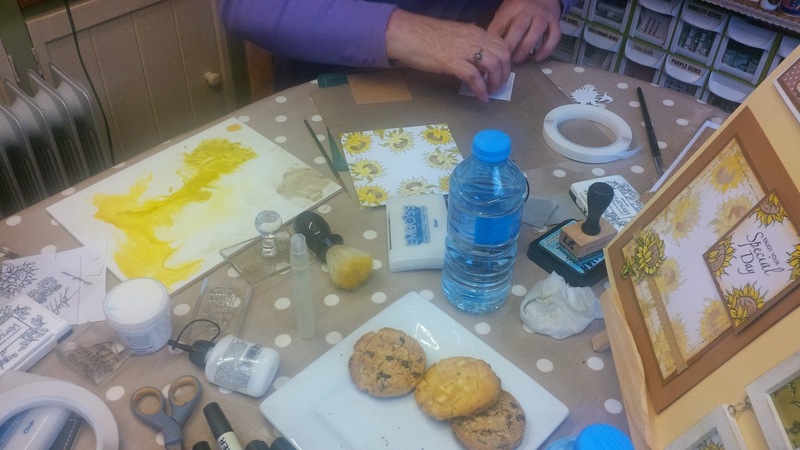 To do this I stamped the ink pad directly onto an acrylic block, I then added a little water to the ink so I could then paint with it. The white embossed lines repel the colour. A close up of the coloured image below. 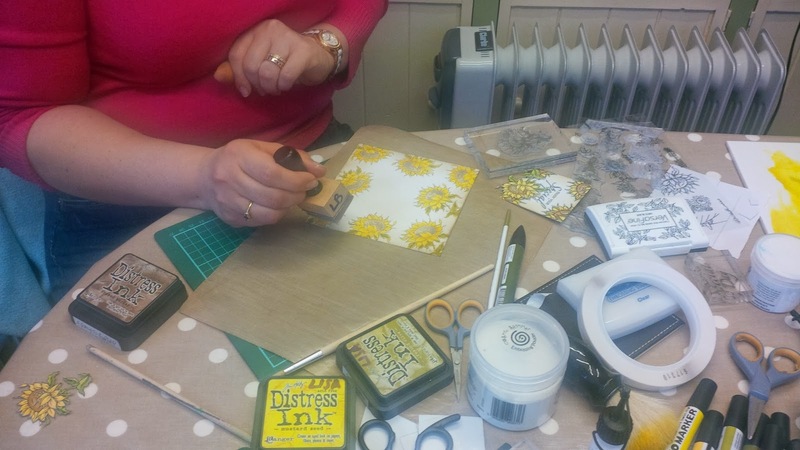 Hello crafters, Kirsten here, happy Tuesday. Probably like most of you, I keep all sorts of things, thinking I’ll find a use for them in my crafting projects. The other day I was idly twirling a scrap of ribbon around the plastic ring from a reel of red line tape, wondering what I could do for this post, when suddenly an idea dawned. I wrapped string around the ring, securing it with Cosmic Shimmer glue & creating a loop. When the glue was completely set, I used fabric glue to attach a length of blue ribbon & a bow. 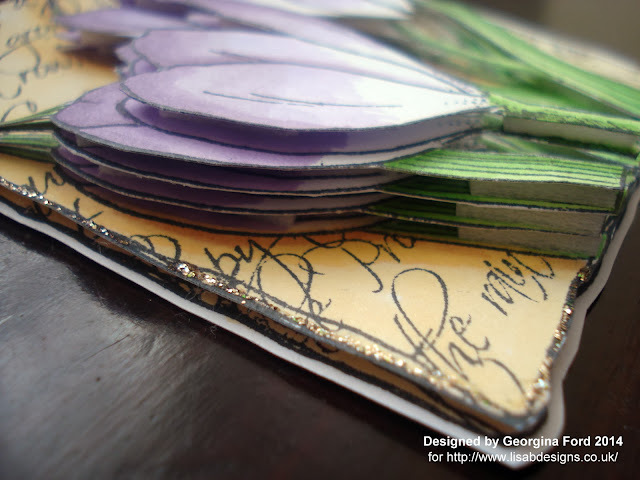 I cut the large peacock from a sheet of Craftwork Cards Vogue collection (10% off at the moment) & glued a button to the centre of the die cut flowers from the same collection & glued them to the ring with hot glue. I applied some black adhesive pearls & Patina stickles to the peacock’s feathers, added some Glossy accents to his breast & gold liquid pearls to the flower. I would have liked to add some feathers, but I don't have any – strange but true. That’s it, thanks for looking. There’s still a few days left to take part in the January challenge & I will be back on Saturday with a new challenge for February. Happy crafting. Hi it's Georgina with my regular Thursday post. 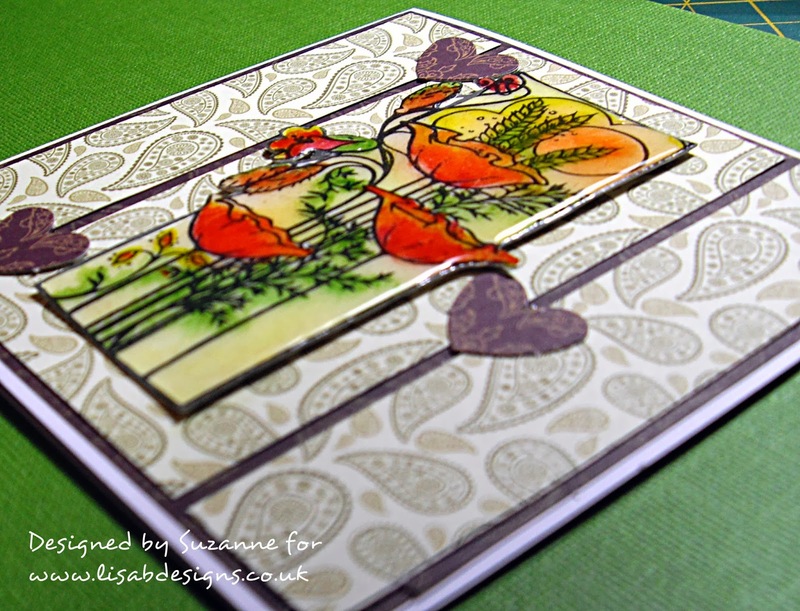 Today I have a multi-layer card topper to share with you. 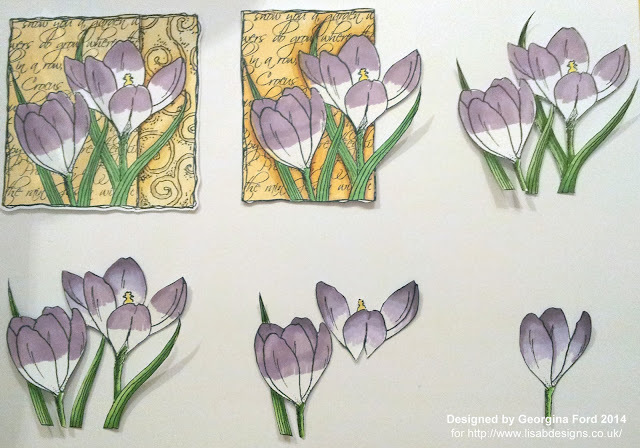 For this I used the lovely Imagination Crocus decoupage stamp set available from Lisa B. Designs. 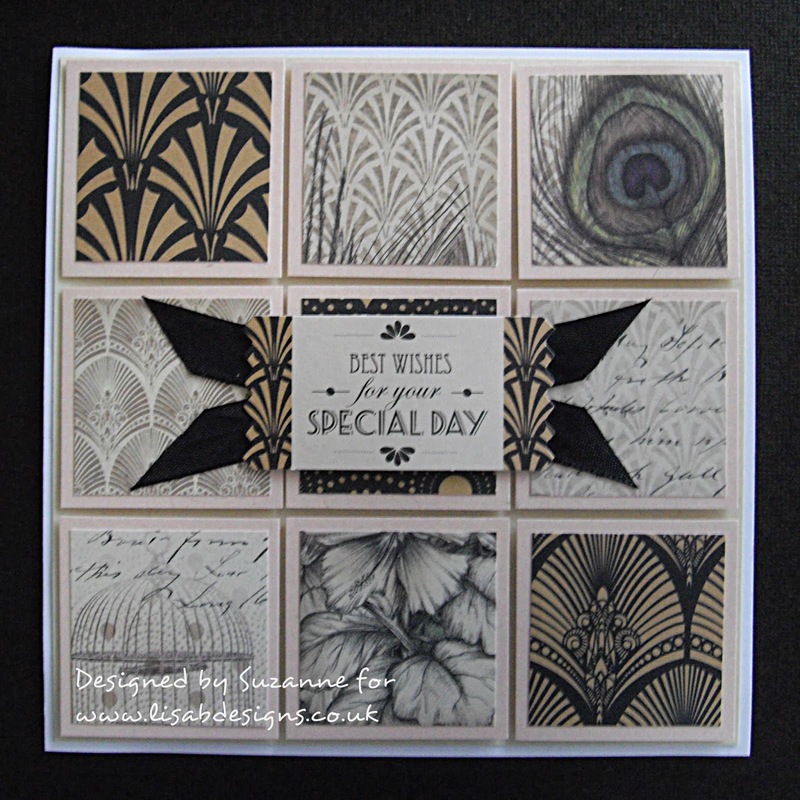 This stamp range currently has 25% off! 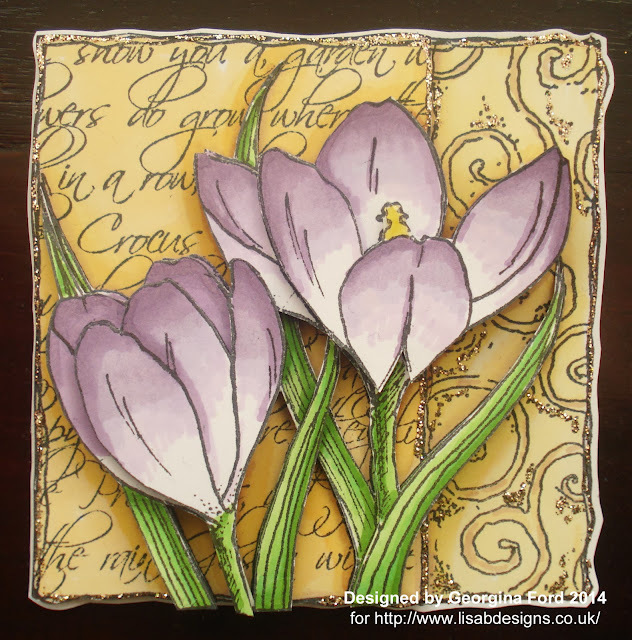 To make this topper I started by stamping the crocus image six times onto smooth white card with a Tuxedo Black Memento ink pad. 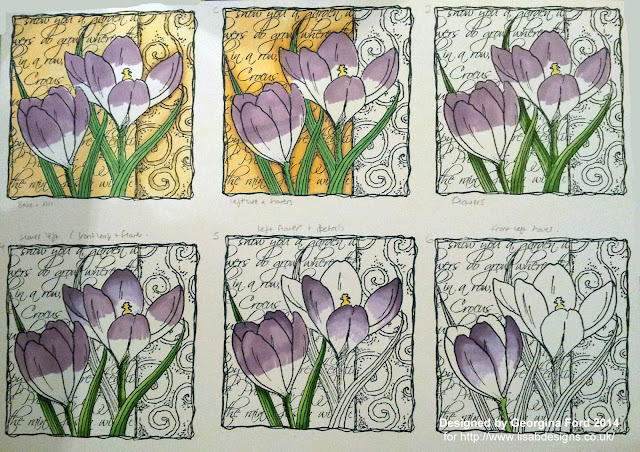 I worked out which sections I wanted for each layer and coloured in the sections. So I could remember which section to colour I wrote notes in pencil under each image. 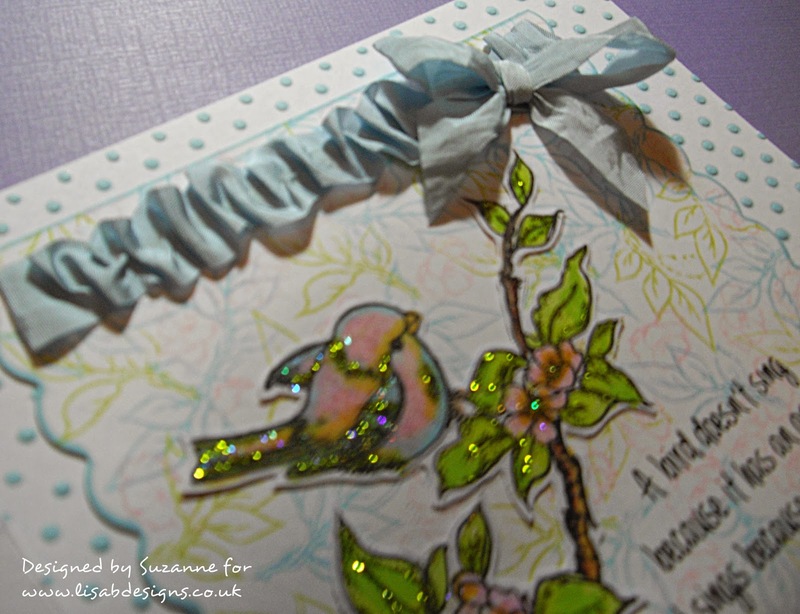 I used ProMarkers to colour the stamped images. I coloured every layer, even the sections which had layers on top of it. I think it's nicer to have all the layers coloured. If you wanted to be quicker you could just colour the top layer. I cut out each layer as shown below. I attached all the layers together with foam pads, as shown below. To finish the topper I added Platinum Stickles. I decided I was going to paper piece this little chap/chappess, so I stamped it a few times with black Archival ink & started colouring. I was happier with the second selection of colours, but I used the first owl as my base for the paper pieced layers. My original plan was to stamp & cut out the stars,but I realised it was much too fiddly & quickly gave up. I stamped the with various colours of distress inks, then filled them in with watercolour pens & did the same thing with the moon & the branch. I added the Joy Crafts clouds & the gold confetti stars & stamped the word with alphabet stamps from my stash. I used Spiced Marmalade & Fired Brick distress inks through the Special Touch brick wall mask & added some lines with a fine-liner black pen. 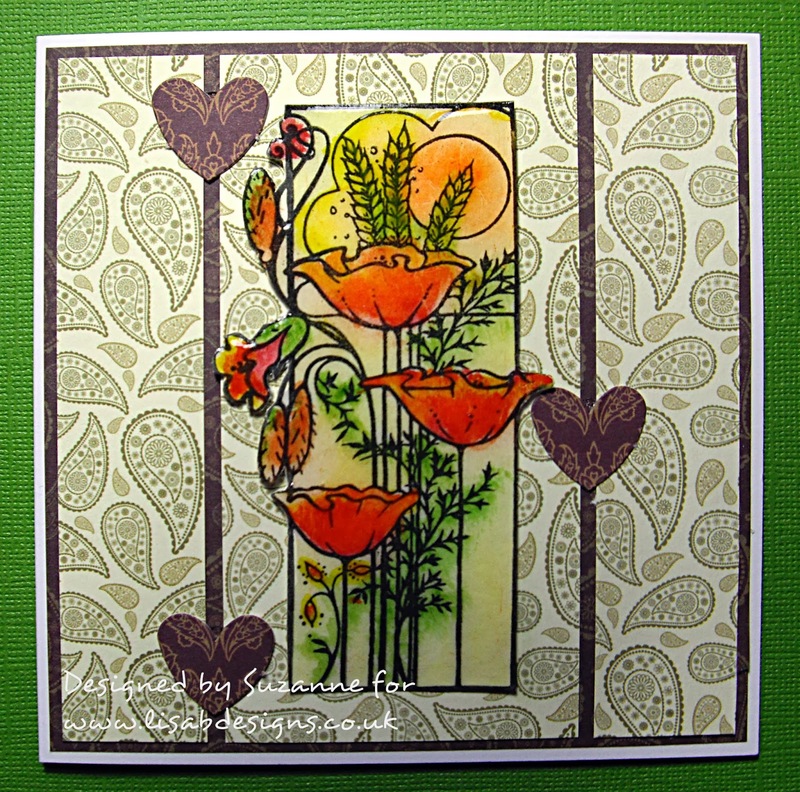 When I’d finished the card I thought the wall needed something more, so I added the little heart & the white Joy Craft vintage flourish flower. That’s it, thanks for looking. 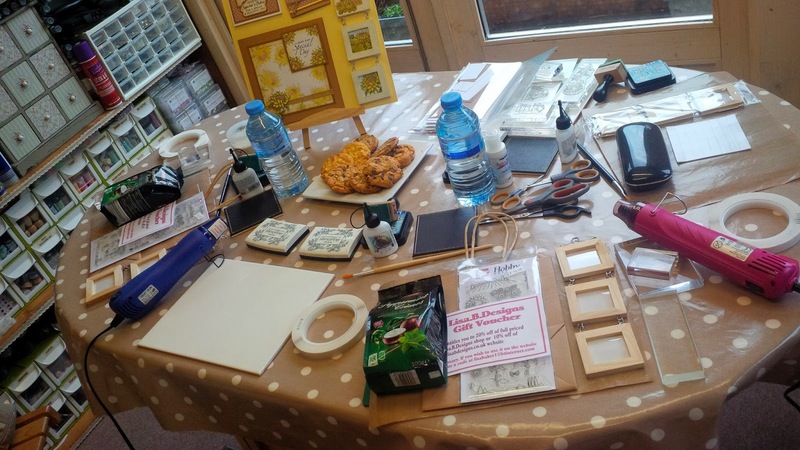 We’re heading towards the end of January, but there’s still plenty of time to enter the blog challenge, all the details are HERE. And the 10% discount still applies to many items on the website, so if you haven’t visited it in a while, this would be an excellent time. See you next time, happy crafting. 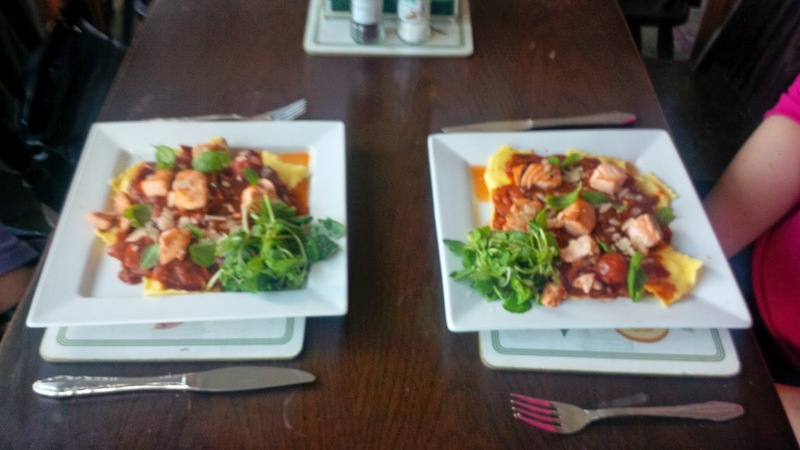 Apologies for being so belated and for me not blogging much lately but I have not been well for about six weeks. I had an awful fluey cold over Christmas and chest infection and it has taken me all this time to get over it. 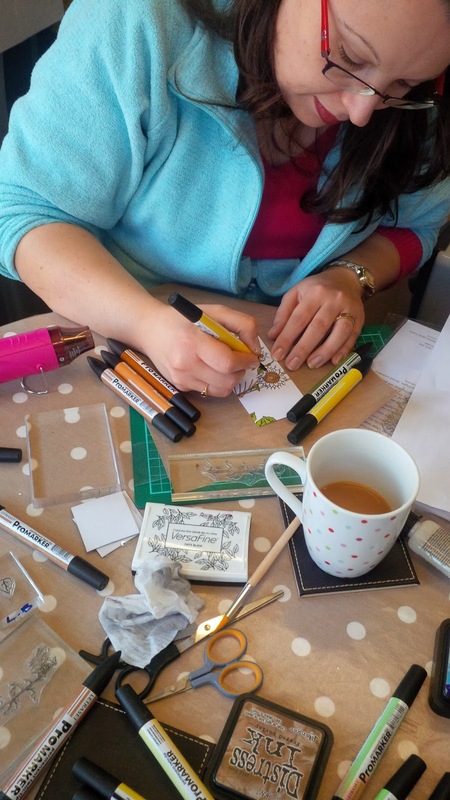 The classes are based at home with me in the studio for only two people at a time so that you get two to one tuition. They are 10am until 4pm and you get to make five projects on the day with me. I have designed them so that you get to learn different techniques being a very small group of two so they are much more involved and made from scratch as well as being a collection of beautiful projects. 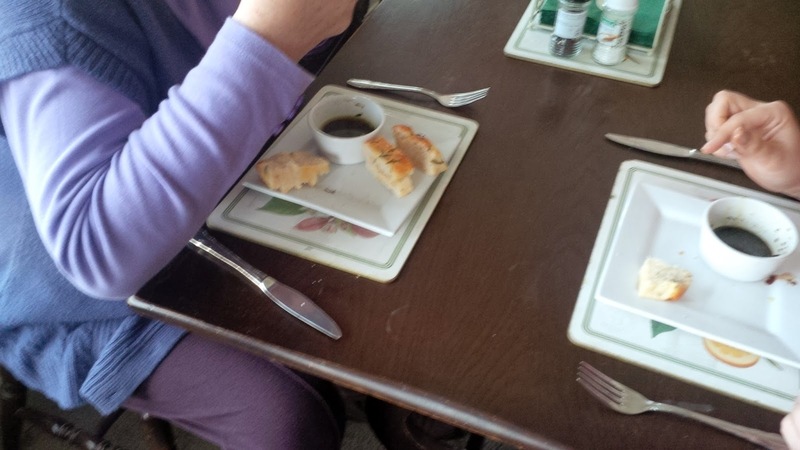 Unfortunately they were too full up for pud!!! 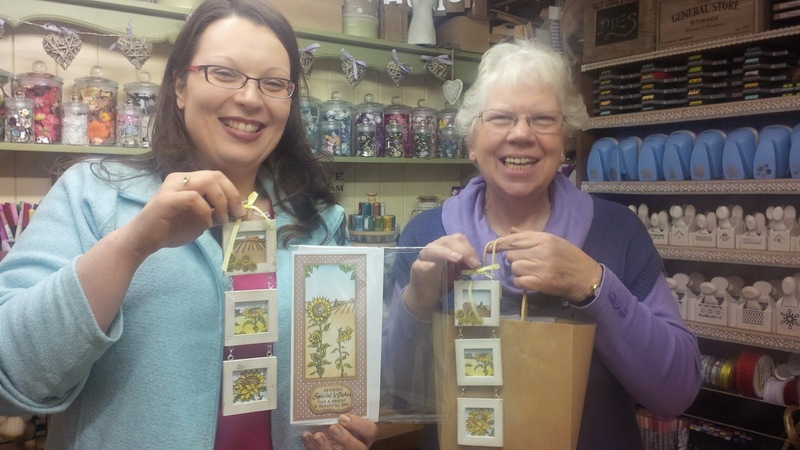 Matina and Gill had a fabulous day with me, they were great ladies and went home very happy! 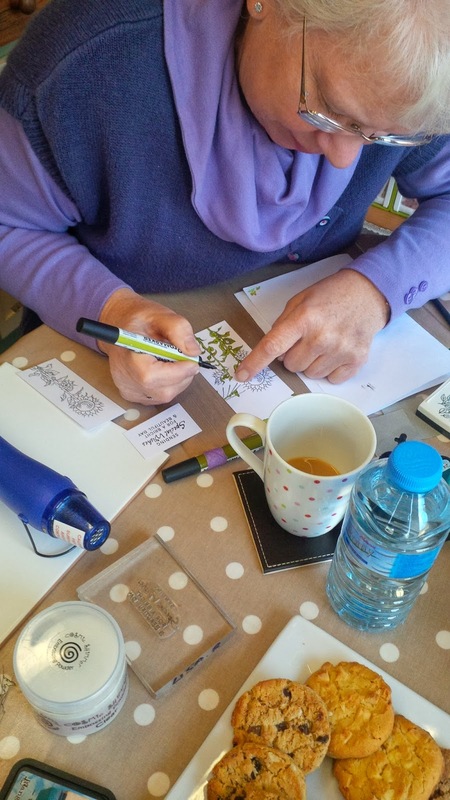 Do you fancy crafting privately with me ? You will need to be a party of two people for each day with me.